Dulce Vida Tequila Reposado is 100% Agave, 100 Proof, and rests for just under one year in American oak, Kentucky Whiskey barrels. Dulce Vida Tequila sources its organic Agave from the Pacific Coast Highland region near Tepic, Nayarit. The soil and geography are very different from the better-known lowland tequila areas, and this particular region - surrounded by both ocean and mountains - yields more flavorful and larger agave plants. 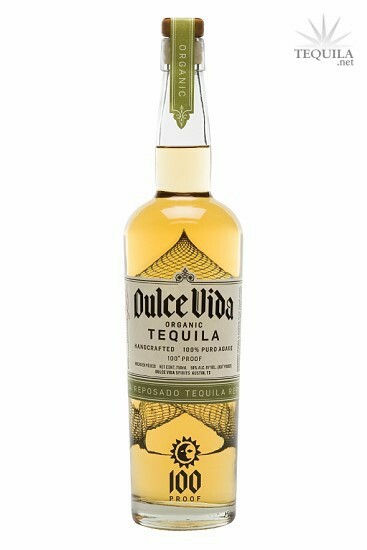 With the organic highland Agave as inspiration, Dulce Vida set out to produce the purest example of Tequila the way it was meant to be cultivated - uncut, no water added. 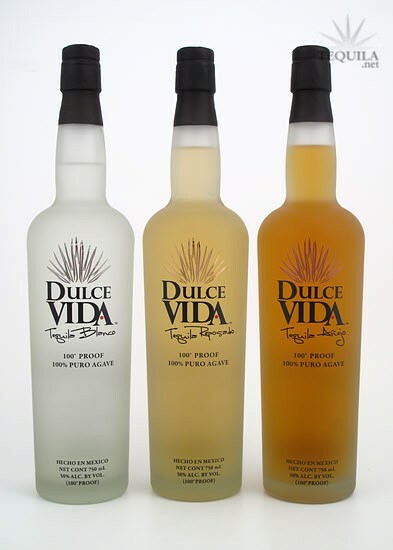 The result is the decidedly smooth and authentic Dulce Vida tequila. 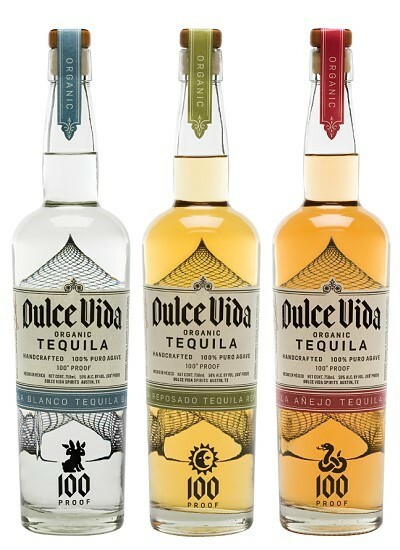 Dulce Vida provides something new to the Tequila industry with their entire lineup of 100 proof, 100% Agave products. 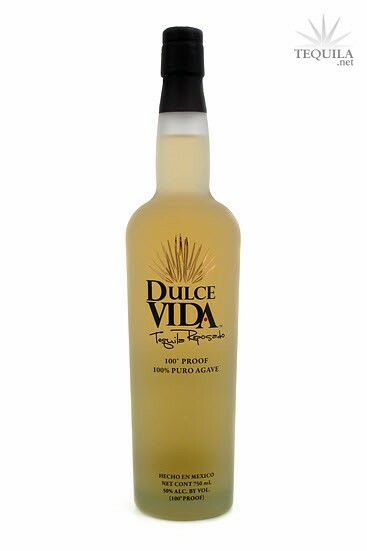 Hot and full of flavor, Dulce Vida Tequilas perfect straight up and in your favorite cocktail. Fire in the hole! 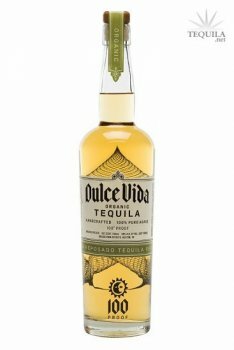 Dulce Vida is taking advantage of the trend toward higher proof spirits with their 100 proof tequilas. These tequilas are meant to be a better expression of what agave distillate tastes like...not as much or at all cut by water. The result can often be a more full flavored, but at times fiery drink...as any barrel proof whisky drinkers will tell you. 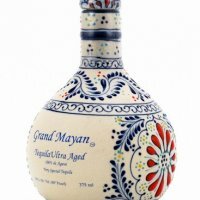 Aroma: A nice agave sweetness with some grass and wood notes. Light floral notes too. Initial Taste: Sweet agave, grass and strong herbal notes. Body: Grassy agave combines with herbs and citrus. There's a definitely alcohol tingle as well. Finish: A long finish with strong herbal and spice notes...a tough of oak as well. Alcohol numbing involved to be sure. It's a solid tequila. The high proof adds some intensity and flavor, but the profile isn't the most flavorful to begin with. It would be a nice intense mixer if you're looking for grassy and/or herbal, but it's not an easy sipper. However, the progress in flavor from the blanco (harsh) to the repo is worth noting. I think that the añejo might hit the sweet spot between the high proof and the barrel mellowing.